PLANO, Texas (April 27, 2017) — Tostitos Cantina is taking Cinco de Mayo to the next level by reimagining the ultimate party game – the piñata – and celebrating consumers’ love of good times together with great chips and salsa. 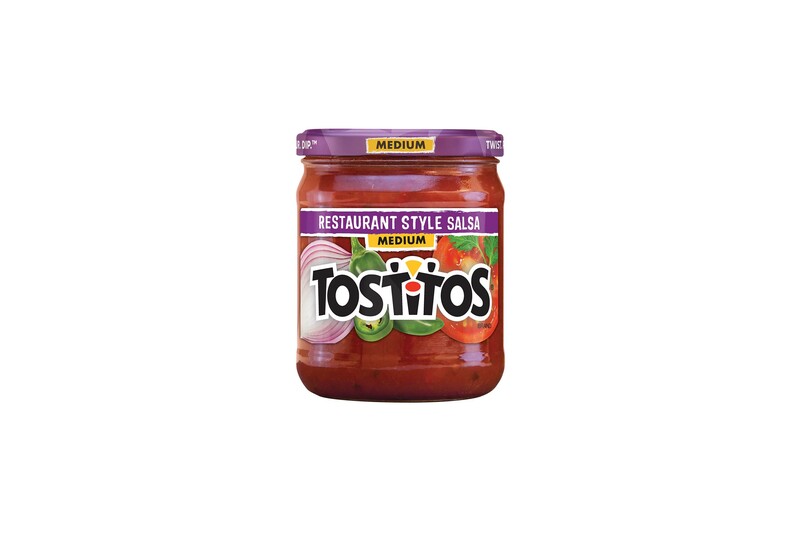 From April 16 through May 6, consumers can visit Tostitos.com to design a digital lookalike piñata of themselves, using customizable options such as physical features, expressions and clothing. 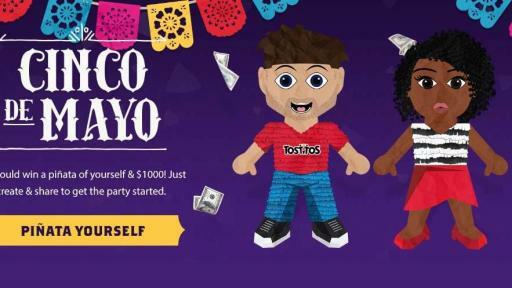 By sharing their digital piñata avatar on Facebook, Twitter or Instagram with the hashtags #TostitosPinataParty and #Sweepstakes, participants are entered for a chance to win a real-life version of that piñata and $1,000. One winner will be awarded every day leading up to Cinco de Mayo, with 21 winners overall. 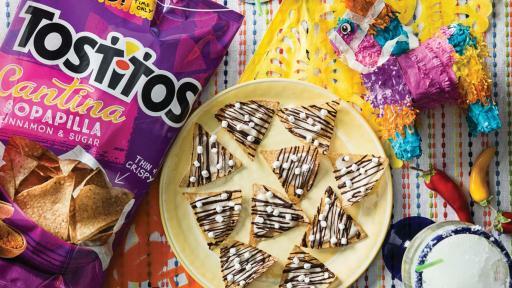 Tostitos, one of the marquee brands from PepsiCo’s Frito-Lay division, is also giving consumers a sweet Cinco surprise with limited-time only Sopapilla flavored tortilla chips. 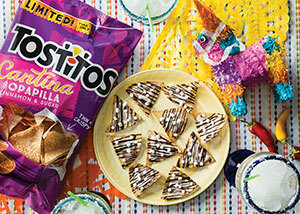 Inspired by traditional sopapilla desserts found in Mexican cantinas, these chips combine cinnamon, sugar and a touch of honey for a sweet way to celebrate Cinco de Mayo. 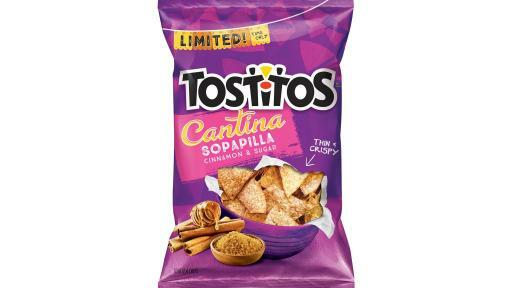 Sopapilla tortilla chips are joining Tostitos’ Cantina lineup. 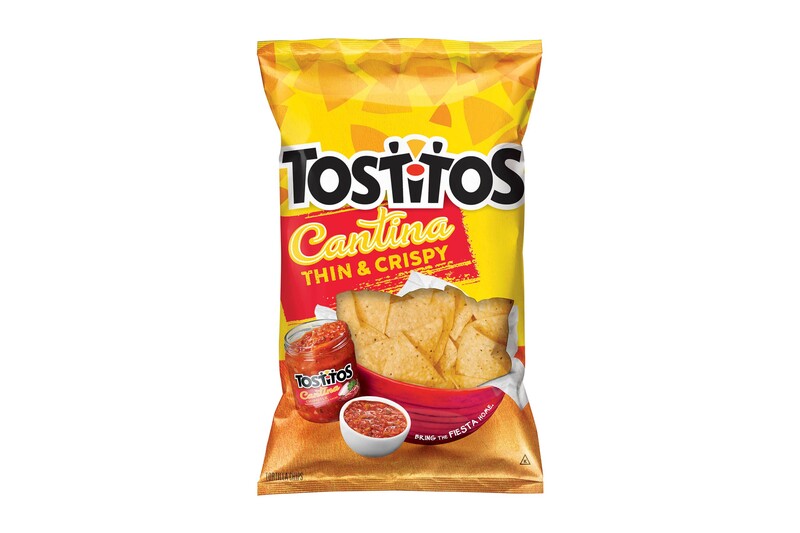 Available in Traditional, Thin & Crispy and Chipotle Thins, the Tostitos Cantina line is inspired by authentic Mexican cantinas to give you and your friends a true cantina experience at home. 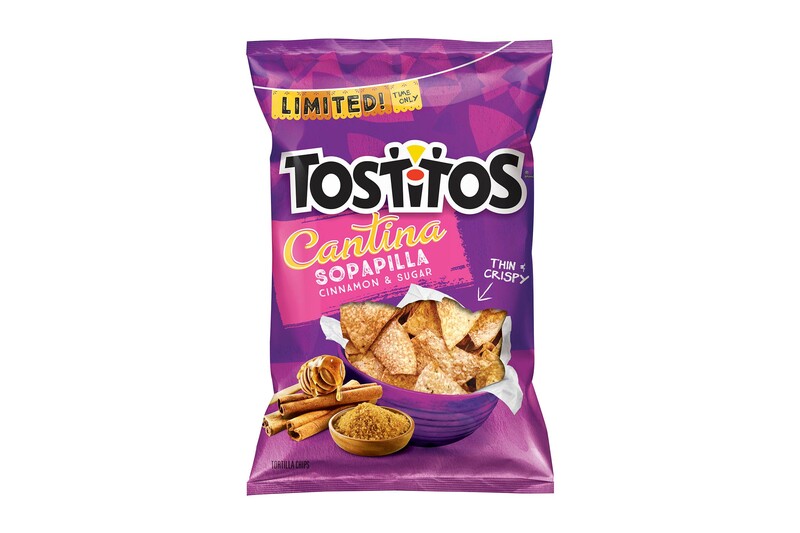 Tostitos Cantina Sopapilla Cinnamon & Sugar tortilla chips are available nationally from April 26 through May 31 with the suggested retail price of $3.29. 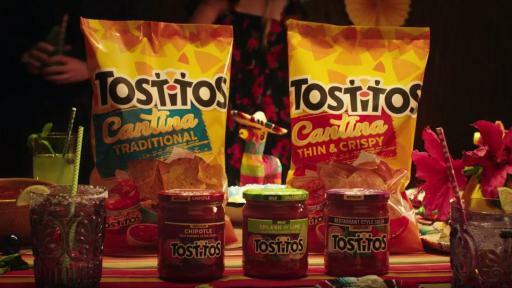 Every Cinco de Mayo celebration also needs entertainment and Tostitos has it covered. In partnership with JASH, a comedy-driven media company, founded in partnership with comedians Sarah Silverman, Michael Cera, Tim Heidecker & Eric Wareheim and Reggie Watts, Tostitos created a Cinco de Mayo-themed music video with an original track written by award-winning songwriter Adam Schlesinger. 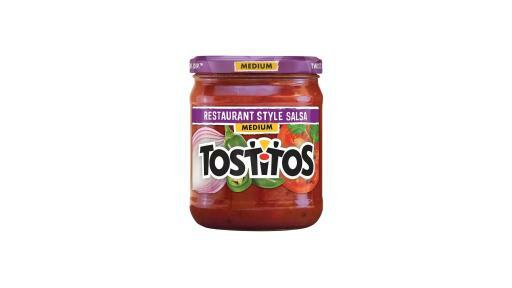 The video is available on Tostitos’ YouTube channel and at Tostitos.com. 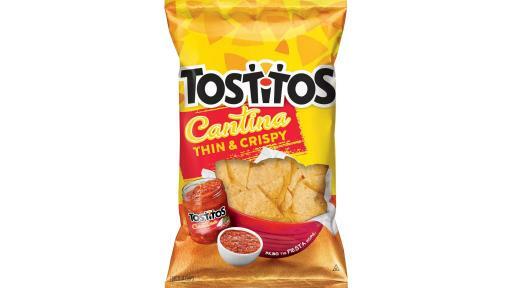 Tostitos is one of many Frito-Lay brands in North America – the $14 billion convenient foods business unit of PepsiCo (NYSE: PEP), which is headquartered in Purchase, NY. Learn more about Frito-Lay at the corporate website, http://www.fritolay.com, the Snack Chat blog, http://www.snacks.com and on Twitter at http://www.twitter.com/fritolay. At the heart of PepsiCo is Performance with Purpose – our fundamental belief that the success of our company is inextricably linked to the sustainability of the world around. We believe that continuously improving the products we sell, operating responsibly to protect our planet and empowering people around the world is what enables PepsiCo to run a successful global company that creates long-term value for society and our shareholders. For more information, visit www.pepsico.com.